So now we are getting lots of cauliflower from the CSA… so there will be a few more of these recipes too! This head we got this week was yellow and beautiful! The kids loved looking at it and kept asking me to make sure it really was cauliflower! So cute they even know it’s supposed to be white and that it garnered that much attention from them! We have made our cauli pizza crust which is good and nice to have a super healthy pizza option, but then we had this tasty treat! It’s pretty simple to make although it can be kinda messy, but it is SO good! I’m not usually a huge fan of cauli. I’ve tried the fried rice and mashed cauli and it hasn’t been a huge hit for me. Not something I’d ever crave or REALLY want to have again. Maybe I just need to find better ways to flavor it. Anyway. This recipe was a hit and I think we ate the whole head at dinner and it was a HUGE one. I don’t think I’ve ever seen one this big before! Chop the cauliflower up into bite sized pieces. The smaller they are the better they cook. Turn the stove on medium and heat about ¼ cup of lard in a frying pan. It doesn’t need to be deep enough to deep fry the cauli. Just enough to have a thick coating in the bottom of the pan. Once it’s hot, throw in enough cauliflower to cover the bottom of the pan, one layer deep. Will probably have to rotate through to get it all cooked. 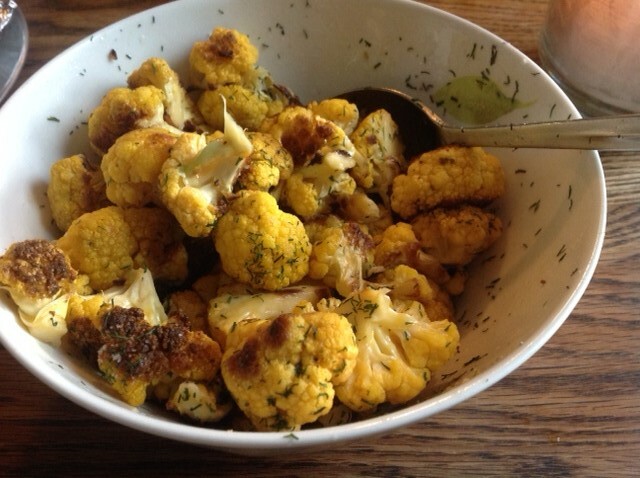 Let it cook till the cauliflower is browned and crispy on the outside and cooked and slightly soft on the inside. DON’T over cook! Sprinkle with salt and dill to flavor. I added quite a bit of both! Mmm… makes my mouth water to think about it! We will probably be having this again this week since we have three more heads in the fridge! And keep your eyes peeled for more recipes using cauliflower!